Mu’azu disowns apartment where EFCC discovered over $50m – Royal Times of Nigeria. 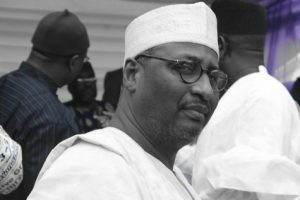 A former National Chairman of the Peoples Democratic Party (PDP), Ahmadu Adamu Mu’azu has disowned the apartment where operatives of the Economic and Financial Crime Commission (EFCC) officers discovered more than $50 million hidden behind false walls on Wednesday. One Akin Oyegoke who identified himself as the Media and ICT Personal Assistant to Mu’azu who called from London made the claim while speaking to online news medium, Sahara Reporters. He denied that the former PDP chair owns the building. Oyegoke said; “Mr Muazu does not own any house in Ikoyi except his house at Walter Carrington street, Victoria Island Lagos,”. However, Oyegoke was said to have provided no explanation as to why the construction firm, Etco Nigeria Limited, that built the house listed his name as a client.